A Doctor of Business Law (Panthéon-Sorbonne), Alain Cornec, who also studied English at post-graduate level, was one of the first lawyers in Paris to practice private international law and to develop a private clients’ practice. 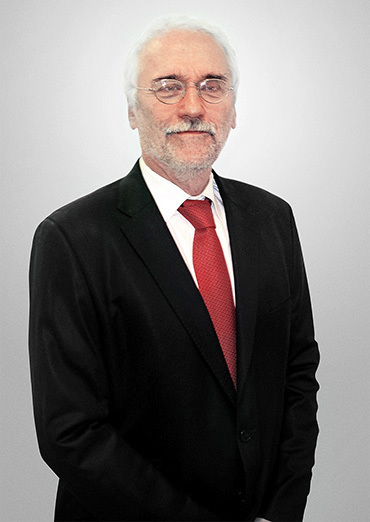 He is a founding member and former Vice-President of the International Academy of Family Lawyers and Vice-President of the Academia Euro-Americana de Derecho de Familia, international. These associations bring together experts and practitioners from around the world. He also sits on the board of directors of the Institut du droit de la famille et du patrimoine. Alain has extensive experience in international family law in its various components: divorces, successions, international jurisdiction, property, real estate, enforcement, etc., mainly in relation to English-speaking countries. He is on the list of lawyers at the American, Canadian and Swedish consulates in Paris, and has represented the Japanese government before the French courts. His prior previous experience in business, companies, real estate and related procedures allows him to understand the business issues inherent to unusual complex cases. He is a founder and former Vice-President of the International Academy of Family Lawyers and Vice-President of the Academia Euro-Americana de Derecho de Familia, international. These associations bring together experts and practitioners from around the world. He is also a director of the Institut du droit de la famille et du patrimoine.